From strong oriented character to making people laugh, these women in the list have done it all. These females from the entertainment have left an impact on the life of many people. These actresses always go a step ahead to look out of the crowd in a classy and elegant way. Go ahead to read the richest actresses dominating the entertainment industry with their presence. 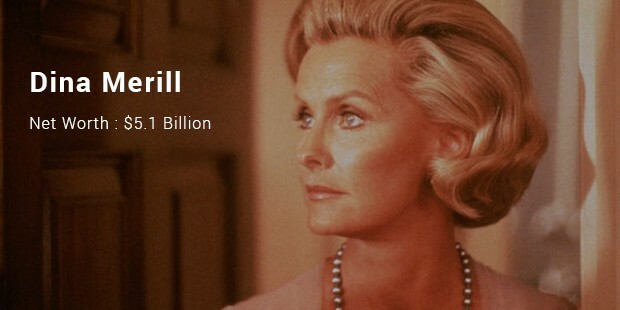 Dina Merrill is a great actress is known for her acting career. She has acted in television, screen and stage performances. Her riches not only come from her acting career but also from a variety of businesses she deals with including the Lehman Brothers. She earns not ony through acting but also through business deals with brands for endorsements. Mia Wasikowska is an Australian actress. Mia has worked with television and has some well known film projects to her name like Alice in Wonderland. Candace Bailey is an American television personality and actress. She is best known as one of the hosts of Attack of the Show. She started her career at age 12. 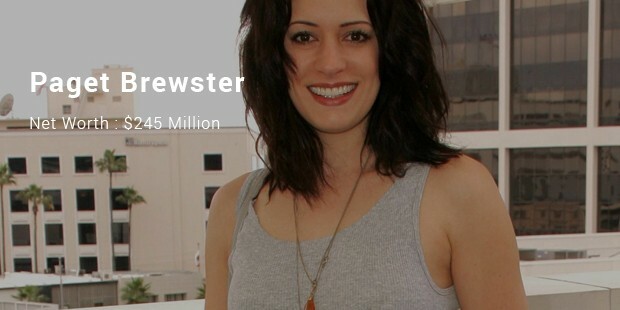 Paget Brewster is an American actress. Her well known roles on television include Emily Prentiss in Criminal Minds and Kathy on NBC’s Friends.